We're very excited to announce the IAF EME Conference 2019 will be hosted in Milan, Italy! We are now more than 100 participants from 29 countries (Australia, Austria, Belarus, Belgium, Canada, Denmark, Finland, France, Germany, Hong Kong, Hungary, Italy, Korea, Mexico, Netherlands, Norway, Philippines, Poland, Portugal, Russian Federation, Serbia, Slovenia, Spain, Sweden, Switzerland, Turkey, Ukraine, United Kingdom, United States) and in less than 60 days we’ll be all together!!!! It is time to make all the arrangements to come to Italy. If you haven’t booked accommodation yet and you need some tips you can write to Manuela Ferrari – she will be happy to support you giving suggestions about where to stay or what to do in Milan. If you need an invitation letter for your visa application write us and we’ll be happy to help you. The workshops selection is almost over, we are sure it will be a very rich and inspiring conference! We are still working on the programme but you can find a draft of it attached. Finally, don’t forget the participants’ book! Please remember to fill in the online form and send us your profile picture at italianchapter@gmail.com, it will take just few minutes. We value individuals and interactions over processes and tools. Agile movement has changed the way people work together in software industry and has become one of the new paradigms of teamwork and project management. Agile approach is extensively based on facilitative leadership and facilitation, and people working in agile have developed their own facilitation tools and techniques. The IAF Europe and Middle East 2019 regional conference will explore the relationship between Agile and Facilitation. 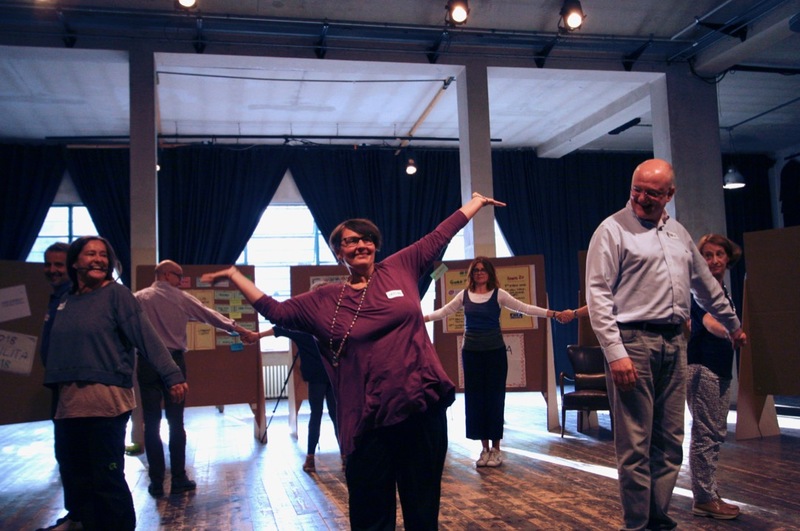 What is the role of facilitation into the Agile movement? What are the facilitation techniques and tools that have been most successfully applied from Agilists? Is there any facilitation technique developed by Agilists that has been used by facilitators in other industries and sectors? Simplicity is to maximize the amount of work not done. The IAF EME 2019 Regional Conference will be organised with an Agile format. The conference programme is a work in progress, the sessions will be announced once callected and selected the workshop proposals offered by the participants. The conference will start on Thursday at 2.30pm and will last until Saturday at 1pm. On Thursday afternoon and Friday will run workshops proposed by participants, while Saturday morning will be in an open space format. For more information visit the conference website.